Back in November, the faculty at Pitzer College in Claremont voted in favor of suspending the school's study abroad program with the University of Haifa in Israel, citing concerns over Palestinian rights. If the small liberal arts college shutters its program, it would be the first academic institution in the U.S. to take such a step in support of the growing and controversial boycott, divestment and sanctions campaign. Pro-Palestinian activists herald the Pitzer vote as a social justice milestone, while many pro-Israel groups and university leaders say the move would deny students academic opportunities and unfairly single out Israel on human rights issues. The boycott, divestment and sanctions movement, also known as BDS, is a global campaign to pressure companies to cut ties with Israel and promote other economic, cultural and academic boycotts of the Israeli state over its treatment of Palestinians. The campaign officially began in 2005, when a coalition of 170 Palestinian nongovernmental groups issued a call to "people of conscience" around the world to put nonviolent pressure on Israel until it followed international law and universal human rights principles. Ending Israeli military occupation of Palestinian territories. Demanding full equality for Palestinian citizens of Israel. Promoting the rights of Palestinian refugees to return to their homes and properties. The movement made some headlines in 2018. Airbnb delisted rentals in Jewish West Bank settlements. Singer Lana del Rey pulled out of an Israeli music festival. U.S. law enforcement agencies abandoned training junkets with the Israeli military. And various churches have voted to divest from Israeli companies deemed complicit in violations of Palestinian human rights. Two new members of Congress, Ilhan Omar and Rashida Tlaib, became the first to publicly endorse the BDS movement. Meanwhile, more than half of U.S. states have passed anti-BDS laws, including one passed in Texas this year barring any public agency from doing business with a BDS participant. What has the academic part of the boycott movement looked like so far? BDS campaigners say Israeli universities have played a major role in planning and justifying Israel's military occupation of Palestinian lands. The Palestinian Campaign for the Academic and Cultural Boycott of Israel, or PACBI, was launched by a group of Palestinian academics in 2004. Its guidelines call for participants to refuse cooperation with Israeli institutions, support Palestinian academic institutions and promote institutional divestment from Israel and condemnation of Israeli policies. The American Studies Association voted to endorse the boycott in 2013 and was later joined by other academic associations. While some individual U.S. professors have signed on to the movement over the past decade and advocated for the boycott, many university presidents have criticized the campaigns against Israel as inconsistent with free expression and even anti-Semitic. In the past 13 years, 37 schools have approved BDS resolutions of some kind, according to the American-Israeli Cooperative Enterprise. Last year, the U.S. Campaign for the Academic and Cultural Boycott of Israel (USACBI) began calling on faculty, administrators, students and staff on college campuses to uphold the academic boycott of Israel by refusing to participate in study abroad programs in Israel. In September and October, two University of Michigan professors identifying with the BDS movement refused to write letters of recommendation for students applying to study abroad in Israel. So far, no U.S. universities have actually suspended Israel study abroad programs. If the faculty attempt is successful, Pitzer College would be the first. What's the issue at Pitzer? In April 2017, the Pitzer College Student Senate voted to divest from certain companies associated with Israel, but the resolution was later nullified by the school's board of trustees. In the wake of that controversy, students, faculty and trustees formed a working group to discuss the college's relationship with Israel and Palestine. The main issue here is Israeli border authorities' reported disparate treatment of those of Arab or Middle Eastern origin. Supporters of the Pitzer boycott say Israel's discriminatory border and visa policies mean some Pitzer students might not be able to enter the country and study in the Haifa program. "Israel has to have open borders equally for our Palestinian-American and Arab-American students as it does for all of the rest of our students," said Daniel Segal, a Pitzer history professor who pushed for the faculty vote. "And it has to have open borders on the basis of political speech." Another issue is a 2017 Israeli law that allows the country to bar any foreign supporters of boycotts from entering the country. An American student looking to study at Jerusalem's Hebrew University was denied entry to Israel under that law because she'd led a pro-Palestine student organization at the University of Florida. The student appealed to the Israeli Supreme Court, which ruled she could enter the country. Still, the law remains on the books and supporters of the Pitzer boycott say endorsing an Israel study abroad program would perpetuate that discrimination. Faculty supporters of the boycott also cite concerns about Palestinian academic freedom, and want Israel to grant visas for U.S. students looking to study in Palestine as readily as it does for Israeli ones. In November, the Pitzer faculty voted overwhelmingly in favor of a resolution that calls for suspending the college's exchange program at the University of Haifa "until (a) the Israeli state ends its restrictions on entry to Israel based on ancestry and/or political speech and (b) the Israeli state adopts policies granting visas for exchanges to Palestinian universities on a fully equal basis as it does to Israeli universities." "My Jewish faith tradition and ethical tradition teaches me that human rights are for everybody," said Segal. It's worth noting that the University of Haifa program isn't particularly popular at Pitzer. Officials say just about a dozen students have participated in the past decade. 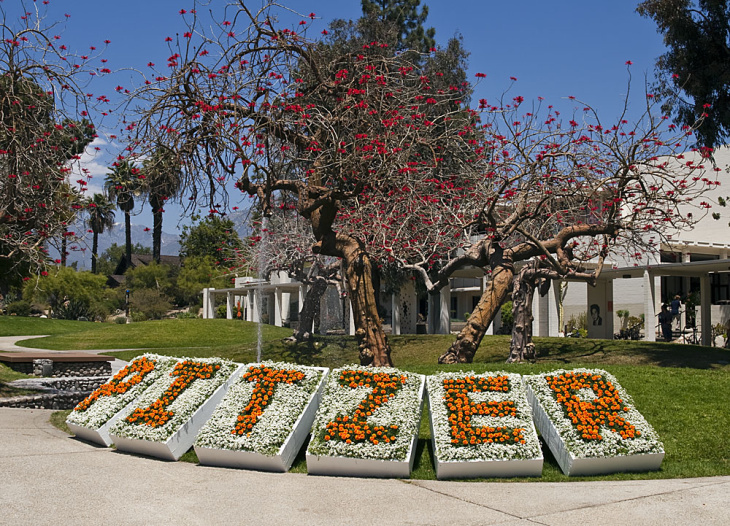 What's been the reaction to the Pitzer faculty vote? Pitzer College President Melvin Oliver condemned the faculty motion to suspend the college's study abroad program at the University of Haifa. "To deny Pitzer students who want to study at Haifa University the opportunity to study abroad and to enter into dialogue and promote intercultural understanding at the altar of political considerations is anathema to Pitzer's core values," Oliver said. "If the suspension of the Haifa University program becomes a reality, this will be paltry support for the cause of Palestinian rights and a major blow to the reputation and reality of Pitzer College as a scholarly institution committed to its stated values of intercultural understanding and the ability of students to pursue their vision of educational engagement." The faculty vote was also quickly condemned by the AMCHA Initiative, a California-based nonprofit that monitors anti-semitism on college campuses. After the University of Michigan recommendation letter refusals and Pitzer faculty vote, AMCHA launched a campaign with 100 other organizations to urge college leaders to condemn faculty who promote academic boycotts of Israel. AMCHA director Tammi Rossman Benjamin says it's appropriate for faculty to support boycott movements, but to actually implement an academic boycott of Israel would deprive U.S. students of study opportunities. "BDS is not a new issue," said Rossman-Benjamin. "What is new, with these examples at University of Michigan and Pitzer College, is that it's not theoretical. This is something that if it's actually implemented, hurts your own students. And that is something that university presidents need to roundly condemn." In December, all 10 University of California chancellors signed a joint statement condemning any faculty attempts to implement Israel boycotts on UC campuses. AMCHA says that action was the first by a major university system. The November faculty motion wasn't binding. A Pitzer governance body called the College Council — made up of all faculty and 20 elected student representatives — must also vote on the issue in the coming semester. That vote is not yet scheduled, but should occur in late January or early February. It's unclear whether the Pitzer administration or trustees board might overrule the College Council vote. Daniel Segal says it would be an unprecedented move. "I do not think there has been a single time when College Council has made a curricular decision that is clearly within their purview that has not then become policy," he said. Still, Pitzer College bylaws stipulate the College Council makes recommendations to the president, who then communicates his approval or disapproval.